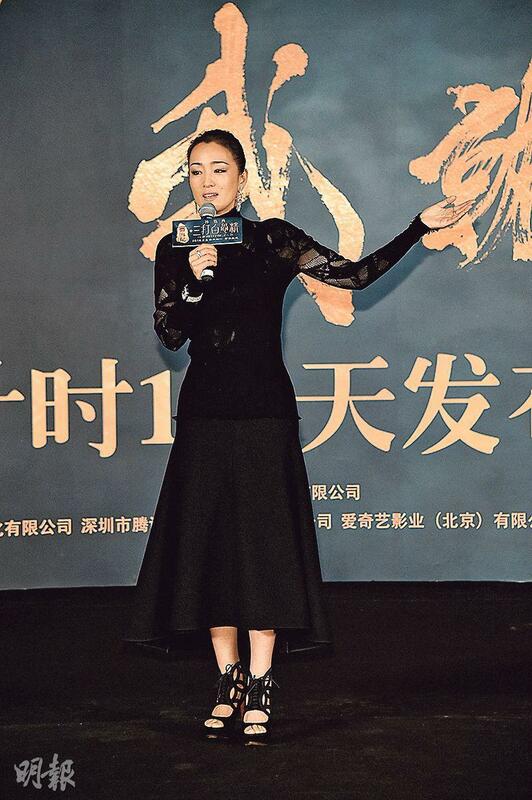 Artist Gong Li and Director Soi Po-Sheang held a "100 days countdown for the MONKEY KING 2 release. 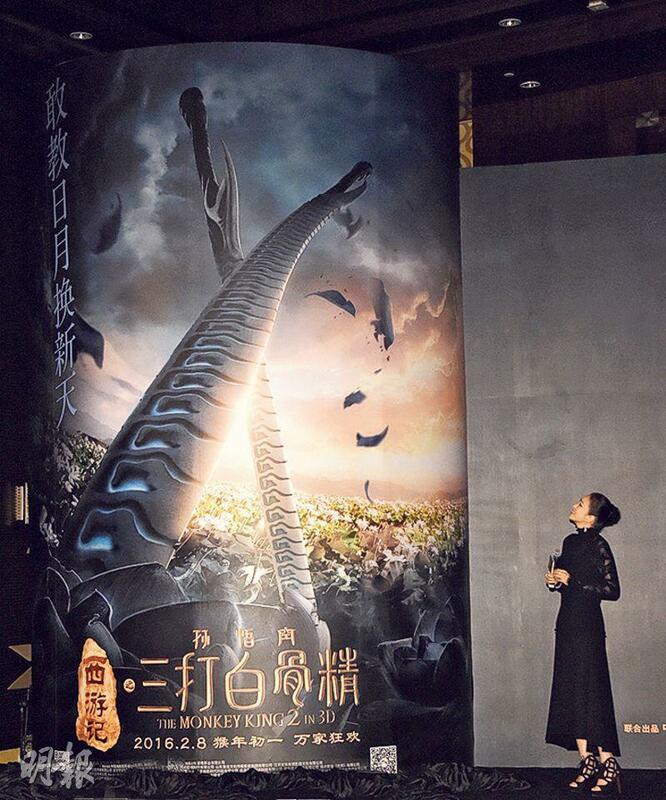 They both revealed that the 100 day countdown poster and the White Bone Spirit weapon poster. White Bone Spirit Gong Li's back was unveiled in all her dominance! Gong Li said that she gave up four first times for MONKEY, including her first fantasy, her first wire work, her first meeting with Aaron Kwok Fu Sing and her first challenge to play a character from age 18 to 86. Gong Li said, "I have always heard that wire work was very painful, but I felt it was much easier than being on the ground. Nowhere on my body did I have to use strength. I also had to thank director (Sammo) Hung Kam Bo for protecting me. The entire process was done very easily." Gong Li after the shoot wanted more and asked for more scenes. She hoped that she would have WHITE BONE SPIRIT THRICE STRUCK THE MONKEY KING! As for the scenes with the master and his disciples, Gong Li praised Sandy Law Chung Him and Piggy Xiao Shenyang for being cute and scene stealing. She also said that it was the first time she met Sun Wukong Kwok Fu Sing. She said that he was radiating sincerity and determination. 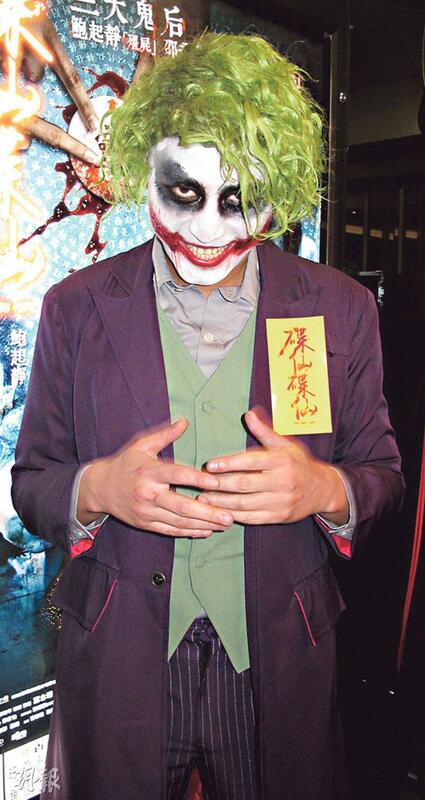 As for the Tang Monk Feng Shaofeng, she felt that he was very mild mannered. "Very much like a perfect lover, but in the film White Bone Spirit and Tang Monk had no romantic scene. I even had to eat him!" With the help of special effect make up, Gong Li also played the character from age 18 to 86 for the first time and turned everyone's impression of White Bone Spirit upside down. Gong Li even said to the master and his disciples, "Whether you come or not, I am here!" Director Soi Cheang Po Shui felt that the new film's special effect talent and team was strong. He was confident that it will open viewers eyes and ears. When asked about the difference between the new film and the novel, Cheang Po Shui said that aside from special effects, the film itself had a lot of comedy. Cheang Po Shui even praised White Bone Spirit Gong Li's eye catching performance. He said, "Undoubtedly this will be the most beautiful White Bone Spirit that anyone has seen. Ms. Gong Li's appearance is mesmerizing, from the start of her appearance she became the focus of everyone's eyes . Her concentration level as how convincing she was was rare among actors. She was not willing to let one detail that needed to be integrated." The 12th Hong Kong Asian Film Festival 2015 opened two nights ago. Two opening films were SHE REMEMBERS, HE FORGETS (NA YUT TIN NGOR MOON WUI FEI) and MOUNTAINS MAY DEPART. The films' directors and actors including Jia Zhangke, Zhao Tao, Sylvia Chang (Cheung Ngai Ga), Zhang Yi, Tong Zijian, Miriam Yeung Chin Wa, Cecilia So Lai Shan and Nick Yau Hok Sau attended. Cheung Ngai Ga said in advance that she would not do any interview. She said on the stage that she was very honored to participate in Jia Zhangke's film and was very happy to work with Post 90 actor Tong Zijian. Chin Wa and her SHE younger version So Lai Shan did not have any scene together, but she praised her performance as good and natural. So Lai Shan revealed that before the audition she wanted Chin Wa's film HOOKED ON YOU (MUI DONG BIN WAN SI) to study her presence and she really liked the feeling Chin Wa gave off. Gordon Lam Ka Tung, DaDa Chan Jing, Frankie Lam Man Lung and Tony Wong Yuk Long yesterday represented Hong Kong films LOVE FOREVER (NGOR MOON YU GEIN CHUNG FA WU) and THE MERGER (NGOR MOON TING JIN BA) at the 2nd Guangdong Film Festival and the 3rd Hong Kong Film Festival week press conference. Ka Tung's god mother Apple Ha Ping earlier fell at home and was sent to the hospital. The doctor after a complete examination discovered minor spinal dislocation. Ka Tung did not encourage her to leave the hospital but she was very stubborn. He revealed that Ha Ping had high blood sugar, but visiting friends brought a lot of fruit and nutritional powder milk. She ate three bananas in one day and went over quota. The doctor also said that she was better with the hospital's nutritional meals. Did Ka Tung hire a maid to take care of her? He said, "It's not bad to hire a maid, but everyone knows how direct she is and how loud she is. Not everyone can take that." Earlier Ha Ping was willing to move into a nursing home, but she changed her mind as she wanted to keep working. Ka Tung once asked her to retire, but she wanted them to work together again. He would like to relieve her acting bug as well. 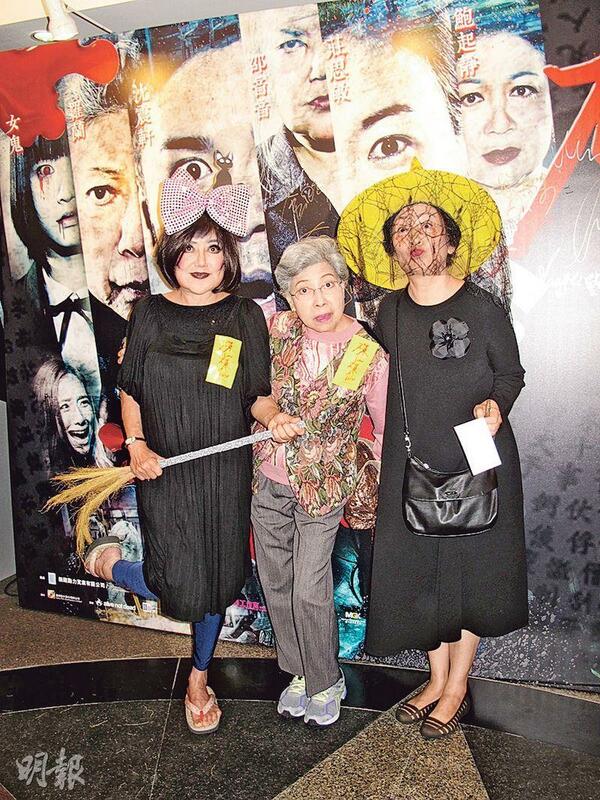 Anthony Wong Chau Sun suggested the establishment of an entertainment community team to take care of elderly actors. Ka Tung said that he would discuss it with him. The younger generation should do something for the older generation. Earlier film critic Shu Kei questioned THE MERGER's international award recognition. One of the investors Wong Yuk Long later said him remove the related post. After negotiation they decided not to take any legal action. 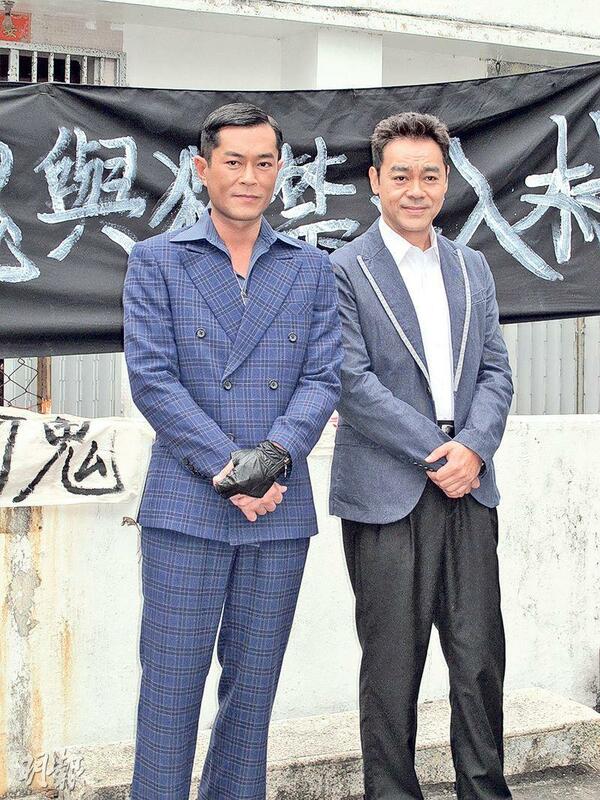 Man Lung and Wong Yuk Long will continue to make new films together and revealed that the new film will be a horror film. Will his wife Kenix Kwok Ho Ying make a comeback for it? Lam Man Lung said that his wife has to take care of their daughter. If he had to take care of their daughter full time then it truly will be a horror. We all had to live through and rise above the awkward years in high school, and regardless how long it may have been a distant past you wish to forget, there’s always a beautiful memory somewhere waiting to be awaken. A joyful moment that truly belongs to you. An ordinary and unnoticeable high-school girl, Truly, has a crush on the most popular guy in school. Taiyu, a ruffian and a bully, is in love with the campus belle. By a quirk of fate, Taiyu invited Truly to enter a pack for the losers in love, an “Association of the Dumped”. Their mission is to tear the golden couple apart and helped each other to get the ones they love. In the 90s when floppy discs is the most common way to transfer files, and Internet is connected through a dial-ups system. Truly met Taiyu. They missed, they confessed and they bid goodbye. Eighteen years later, when the trendiest things have become old memories, when Truly meets her ‘puppy love’ once again, will they be able to rekindle their friendship and relive again the good old times? 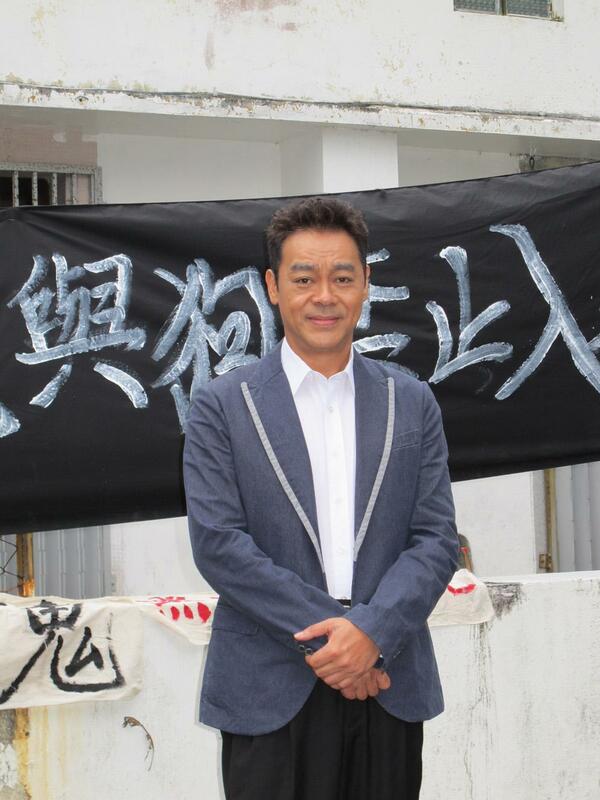 The Lawrence Ah Mon (Lau Kwok Cheung) directed film SUN HUNG TAI BO 2016 yesterday shot at a Pak Tam Chung drug treatment center. This film's subject was one of the Tsz Wan Shan 13 Tai Po, "Mau Tung Wa", and how he helped rehabilitation of other drug users and the difficulties that he faced. Yesterday attending actors were Sean Lau Ching Wan, Louis Koo Tin Lok, Jacquelin Chong Si Man, Lo Hoi Pang and Kevin Chu Kam Yin. Ching Wan and Goo Jai appeared in 70s costumes. Their stories took place between the 70s and the 90s, their different costumes felt fresh to them. Ching Wan played "Mau Tung Wa" Chan Chun Chi, while Goo Jai play Ha Lui, who was responsible for the balance of Kowloon City district drug sales. Would they have fight scenes in the film? Ching Wan said that he had less, while Goo Jai fought three out of five days. Goo Jai said, "I have sore and aches from fighting, I might have pulled something. Earlier my arm hurt so much that I couldn't raise it for two days." Goo Jai said that during the shoot he already added padding, but "thug fights" were all random. Ching Wan said the production gave him a deeper understanding of drugs. Earlier for a "dragon chasing" scene shoot a pastor was invited to be the consultant. Actually he used to use drugs. Later at age 29 he finally went to first grade. Now he is a doctor of theology and has given many people guidance. Also, Jacquelin said that in the film she played Goo Jai's girlfriend. She said that at first when she learned that she would play Goo Jai's girlfriend she was very happy. She was willing to take a pay cut, but later she realized that she was swindled. After the production started she learned that they did not even hold hands in the film. "His girlfriend was more 'sassy', not the type that would lean on him. I hope next time I can add intimate scenes." Did she like Goo Jai? She said that because he was a god. Did she and Ching Wan have any scene together? Jacquelin said that he was cooler than she has imagined. She did not dare to bother him. Goo Jai was a little better.